EIT Digital the leading European digital innovation organisation plans to showcase 11 of its Digital Cities disruptive innovations at Innovative City in Nice on June 16-17. "For the second consecutive year, we will showcase some of our best Digital Cities innovations at Innovative City. Innovative City is a major event in Europe for smart cities, attracting more than 3,000 people from over 40 countries. We bring our innovations with us to increase their visibility in front of representatives of cities, regions and city services providers," says Gilles Betis, Digital Cities Action Line Leader at EIT Digital. By 2050, the global urban population will raise by 75% to 6.3 billion (that will be 2/3 of the world population). The challenge of developing and maintaining attractive, inclusive and safe urban environments needs to be met on multiple fronts. EIT Digital invests in strategic areas, including Digital Cities, to accelerate the market uptake of research-based digital technologies focusing on Europe’s societal challenges. With its pan-European ecosystem of partners and startups portfolio, EIT Digital is a key player in shaping Europe’s future cities. It delivers Digital Cities disruptive innovations in integrated mobility services, urban data economy, citizen engagement and empowerment, city planning and gaming. Next year, it will also include safety services. 3cixty: 3cixty websites and apps help to compare and to combine information about events and places to discover in a city. It is developed in Sophia Antipolis by two EIT Digital's partners: a data specialist startup Data Moove and the world-class research centre of EURECOM. 3cixty was tested during Expo 2015 in Milan. It should be deployed soon in other European cities. ADDACT: ADDACT is a total new way of planning live events and distributing tickets. On ADDACT, fans can pledge for their favourite tour cities by giving binding ticket orders. The cities with the most demand will get a show. ADDACT combines ticketing and crowdfunding so fans can actively influence the tour dates of their favourite acts. ADDACT is one of the 2015 EIT Digital Challenge winners in the Digital Cities category. be.ENERGISED: be.ENERGISED is the leading cloud software for the management and billing of charging infrastructure for electric vehicles. It allows everyone to build a business model by owning and operating charging stations. Be.ENERGISED is one of the 2015 EIT Digital Challenge winners in the Smart Energy Systems category. 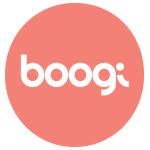 BOOGI: BOOGI is a solution that mixes carpooling and public transport in real time to move in the city. The app helps passengers to reduce the time spent in transportation and makes them become the main players of their moves. The solution is operated by Instant System based in Sophia Antipolis and was already launched in Bordeaux in May 2016 and will be deployed in Nice end of June. Distribusion: Distribusion develops the leading global distribution system (GDS) for intercity and shuttle bus rides. The company connects resellers such as travel and mobility websites, OTAs and travel agencies with bus operators worldwide. The company has recently raised €6 million, partly with the help of EIT Digital (Cf article). Ebee: Ebee has developed a highly integrated charge spot which is small enough to be installed in existing city furniture such as street lights. In urban areas, where vehicles cannot be charged in a private garage overnight, the public space needs charging infrastructure. Karos: Karos leverages machine learning and big data technologies to transform cars empty seats into brand new transportation networks, complementary to buses, trams and trains. Thanks to predictive algorithms and an innovative mobile interface, Karos makes carpooling effortless for daily commutes. The company has recently launched its solution in La Réunion, French overseas region, with Total. NAVYA: NAVYA is a company specialized in the conception of electric and autonomous systems. Launched in September 2015, the NAVYA ARMA is a 100% autonomous, driverless and electric shuttle. It is currently the first autonomous vehicle in the world available for sale. In April 2016, NAVYA and TRANSDEV partnered to operate 6 driverless NAVYA ARMA shuttles at the EDF nuclear power plant in Civaux, France. Piazza: Piazza is the platform for smart city co-creation, fulfilling in a unique way the requirement for tools and methodology of the participatory smart city. Piazza can anticipate needs for public and private services, based on citizens’ feedbacks and expectations. PlugSurfing: PlugSurfing is an app and billing system that empower electric car drivers to find and use charging points wherever they are and whenever they want. PlugSurfing allows seeing in real time which charging points and connectors are available, among 25.000 across Europe, whatever the operator in its network. Vulog: Vulog is the world leader in new generation carsharing technology - Free-Floating / One-Way. It offers end-to-end solutions enabling mobility operators to launch large-scale carsharing services. The company’s headquarter is based in Nice. It is currently expanding across Europe and North America. The EIT Digital innovations will be showcased on stand n°9.